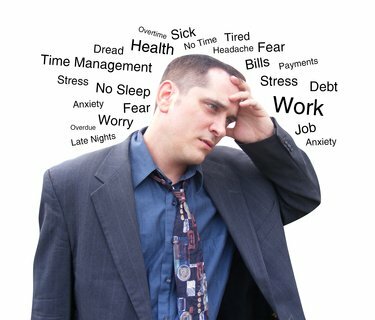 Money Anxiety Disorder - Suffering From Finances and Money Stress? Money Anxiety Disorder (MAD): Are You Suffering From Money Stress? You may be suffering from money anxiety disorder and not even know it. It may just feel like the usual levels of stress when it comes to money - or having too little of it. But financial stress is a killer. It systematically depletes health and can impact not only your day to day wellbeing; it can affect your long term health as well. It’s also been known to destroy relationships and turn what should be a harmonious and satisfying life into complete misery. It sounds dramatic; unfortunately it’s the truth for millions of people. It’s so prevalent that there’s an acronym for it. It’s called MAD, Money Anxiety Disorder and according to the American Psychological Association, more people than ever before are being affected. What Are The Symptoms of MAD: Money Anxiety Disorder? There are common signs that suggest you’re dealing with financial stress. If you’re dealing with financial stress and struggling to better manage your money there is hope. 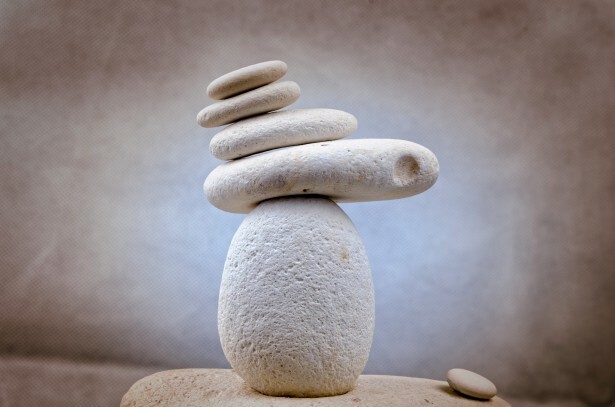 The best approach is a combination of money management and stress reduction techniques. It’s about feeling more in control over your life, your money, and your stress. Let’s take a look at five steps to help you manage your money and financial stress. Identify the Problem – What Exactly Are You Stressed About? 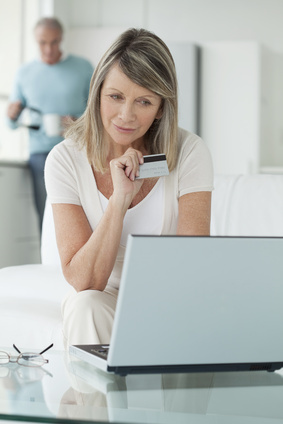 There are many different aspects of finances that you may be stressed about. The only way to truly reduce or eliminate stress is to identify the cause. And generalizations don’t work here. It may sound or feel simplistic, however it’s time to sit down and think about what you’re really stressed about. · Are you stressed about saving for retirement? · Paying off student loans? 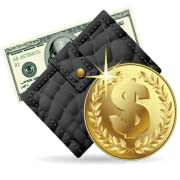 · Paying off credit card debt? 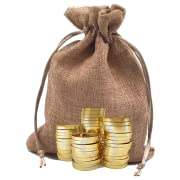 · Your lackluster investments and the stock market? · Saving for your kid’s college? · Buying a new house? · Affording the mortgage or rent? The list could go on and on because each person has their own beliefs about money and their own feelings of lack, stress, and failure. When you’re trying to sleep at night, what financial fears run through your mind? What’s the biggest stressor? If you’re unsure about what your biggest stressor is, grab a pencil and paper and start listing the things that stress you out. Money may only be one item on the list, however many other items might relate to your financial situation. Writing them down can help you achieve clarity. Another tactic to help you identify the primary source of financial stress is to write down your financial goals. Often the top priority goal can identify your biggest source of stress. For example, if your goal is to pay off student loans then that’s also likely your primary source of anxiety. Identifying the source of your stress is the first step. It’s actually a more significant step than you might realize because it creates awareness. When you’re aware of your thoughts, feelings, and emotions and you acknowledge the cause of them, you’re then able to take tangible steps both mentally and physically to change your reality. Next we’ll take a look at the mental aspect of controlling your financial stress and then we’ll dive into more physical tactics. Let’s face it; you only have so much control over the world. You cannot, for example, control how the stock market performs or how your legislators vote on laws that impact your finances. Stressing over these elements doesn't do you any good. Surrendering to it allows you to let go of what you cannot control so you can focus on what you are able to control. So what are you able to control? Well you can control your actions. You can control what you spend your money on and how you allocate your income. You can also control, or learn to control, your emotions. Remember that we just talked about being aware of your financial fears and stressors. Awareness is the first step to peace. For example, if you realize that you’re stressed about saving for retirement, you can take physical action like automating retirement savings so you don’t have to think, or worry, about it. You can also learn to quell the fears when they arise with tactics like deep breathing, affirmations, or visualizations. Every time you feel yourself beginning to panic about your retirement savings you might imagine yourself sitting beside a lake with the sun rising over mountains in the background. The point is that you’re the only person who can control your thoughts and actions. You cannot control the world. Surrender what you cannot control and embrace what you can. The thought of meditation makes the vast majority of people run for the hills, or roll their eyes in mockery. Meditation doesn't have to mean sitting still with your legs crossed for hours as you chant. You can meditate while walking, knitting, or lying on your bed. The goal is to clear your mind of thoughts for a few minutes each day. It’s an incredibly powerful way to help you not only reduce your body’s reaction to stress but also to help you keep it at bay. You sit quietly and get ready to meditate. Thoughts enter your brain and before you know it you’re going over your day. Becoming aware that you’re “thinking” you set those thoughts aside and strive to focus on your breathing. You hear a dog bark and start thinking about your neighbors, or the errands you have to run that day. You once again realize you’re thinking and set them aside to focus on your breathing. With any luck you’re able to quiet your mind for about sixty seconds. Meditation like any activity takes practice and dedication. Even if you’re only able to quiet your mind for a minute or two each day, it produces tremendous calming results. It also teaches you to become aware of your thoughts and to learn to control them. You can meditate through guided imagery, chanting, movement, breathing or whatever appeals most to you. Finally, there’s really nothing better than self-care to help eliminate and manage financial stress. Exercise for example, fills your body with endorphins which are feel good hormones that produce a sense of calm. Exercise also helps your body physically manage the detrimental effects of stress. If you’re performing an intense type of exercise then it also forces you to focus on what you’re doing which means you can’t think about money. Have you ever tried to balance your budget or plan your investments when you’re in the midst of a basketball game or at a Zumba class? It’s practically impossible. Good self-care also includes getting enough sleep and eating a healthy diet. Did you know that some foods, for example foods that are high in sugar, actually make stress worse? They heighten your adrenal response which releases cortisol, that stress hormone, and you feel worse. They cause inflammation in your body which is the precursor for many diseases from cancer to diabetes. Eating healthy whole foods helps your body manage the effects of stress. You have more energy and your emotions are more balanced. Laughter and the company of friends and family are another component of self-care that cannot be ignored. Surround yourself with people you love and people who support you. If you’re struggling financially, that also means being with people who understand that a five course meal and a limo rental are not in your budget but a potluck meal at home with rented movies or a game of cards is just as much fun. With the mind taken care of and your stress levels beginning to subside, now it’s time to take some action to feel more in control of your money and your financial well-being. We’re going to start by talking about the B word. Uncertainty and anxiety are generally caused by a lack of knowledge. 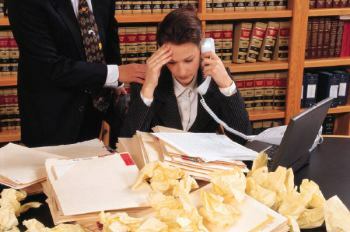 When you don’t have all the information it’s easy to feel out of control, overwhelmed, and terrified. That’s where a budget can make all the difference. When you have a budget, as ugly as your budget may be, at least you have all of the information in front of you. 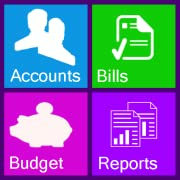 It provides you with the data you need to make the difficult decisions about your finances. And it puts you in control of your money. When you feel more in control, you’re able to relax a bit and take actions that support your financial success. 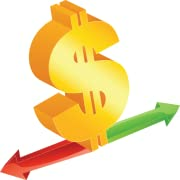 The first step to creating a budget that reduces anxiety is to take an honest look at your present financial picture. 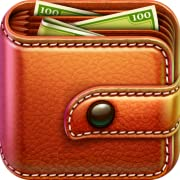 Document your cash flow, your earnings, and your assets. It’s also a good time to get a credit report and credit score. 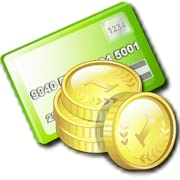 To order a legitimate free credit report, visit annualcreditreport.com, call 1-877-322-8228. Or complete the Annual Credit Report Request Form and mail it to: Annual Credit Report Request Service, P.O. Box 105281, Atlanta, GA 30348-5281. The three nationwide credit reporting companies are providing free annual credit reports only through the above listed methods. The next step is to take a look at your expenses and spending habits. Take a look at last month’s statements. What did you spend your money on? What expenses are regular expenses? For example, your phone bill is a regular monthly expense. 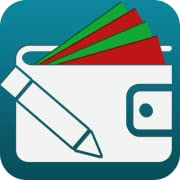 Start assigning categories to your expenses and itemizing how much you spend each month. Don’t forget to look at savings, debt, and discretionary spending. You now have all the information in front of you. You know what your assets are and your monthly income. You also have a nice list of your expenses. This information gives you the power to start making changes and taking positive action. These steps may not be without anxiety so please don’t forget your self-care and stress reduction tactics. It can feel overwhelming for example if you look at your budget and realize that serious changes need to be made. Breathe deeply and let’s talk about taking action and leveraging technology to help you relax a little and feel better about your financial situation. Let’s first admit that actions aren’t without risk and often require courage. For some it may take great courage to honestly look at your finances and create a budget. It means you’re facing your fears and that’s commendable. When you start facing your fears and managing your anxiety with positive action, you’ll begin to realize that you’re capable of anything you set your mind to and that includes feeling in control of your money. What are your financial priorities? Earlier, when you took a look at what specifically was stressing you out you may have identified a priority without realizing it. For example, if you’re dealing with creditors calling you and you want to get them off your back, then your priority would be to pay off or eliminate that debt. Once you’ve identified your finical priorities, and try to limit it to three to five at the moment, then it’s time to create what’s called a SMART goal. That is to stay that your goal is specific, measurable, attainable, relevant, and time bound. Essentially, what exactly do you want to achieve and when do you want to achieve it by? For example, if your goal is to get rid of your $8,000 in credit card debt then you might decide that paying it off in 24 months is a realistic goal. This is where your budget comes in handy. You can look at where you can cut back and how you can reallocate your money to achieve your goal. Goal setting is only the beginning. The next step is to create a plan of action and to follow through. There are many tools at your disposal including automatic transfers, bill paying, financial planning tools and advisors and more. Remember, you have assets and resources. You can have a garage sale, get a second job, and offer freelance services online to make more cash or start your own business. Leverage your resources so that achieving your financial goals is as automatic as possible. Use your bank’s automatic bill pay to take care of your monthly expenses. Use an automatic savings plan to save for retirement and for your emergency fund. Remember that financial stress is a killer. It systematically depletes health and can impact not only your day to day wellbeing; it can affect your long term health as well. Finally, keep in mind that if you restrict your money too much and don’t set a little aside for fun you may feel a different type of stress. Create a realistic and attainable plan to achieve your financial goals and to manage your money wisely. Remember that managing your stress and managing your money go hand in hand and require a balance of both mental and physical control. Become aware of your thoughts and habits as they relate to money. Take good care of yourself and pay attention to how you’re feeling, thinking, and spending. You can’t change the financial situation of the world that you live in but you can change your financial situation one dollar, one action, and one thought at a time. Back to HOME PAGE of this money anxiety disorder MAD section of the site.